Bishop Terry will be holding the 8:30am Eucharist for anyone able to attend. WELCOME TO THE ASCENSION FAMILY! The feeling that the church is home, that a warm greeting and a generous, happy spirit are the hallmarks of it's membership, that the moment you walk in you are "part of the family" - these are the criteria for a healthy and vibrant parish. Anyone with a soul generated by God, with a heart created from love, is a child of God - and thus "part of the family". Our doors are wide open for visitors who would become family, and it is our honour to welcome anyone to come and worship with us - wherever you are on your faith journey - as part of our family. We invite you to consider joining us for one of our services, and we hope that you will enjoy your time with us. Cologne, after shave lotion, perfume, perfumed hand lotion, fragranced hair products, and/or similar products. Many people are sensitive to these products and these scents can cause a variety of illness. We thank you for your kind cooperation. 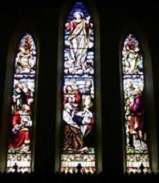 The Church of the Ascension has several spaces that are available for rentals. Please contact Ruth Faulks through the church office at 905-527-3505. For more information please click HERE to view our Room Rentals Brochure. The renovations on our historic church building are finished! Please join us as we worship in our new space! Photos of the renovation process and of our Re-Dedication Service are now available on our website and on our Facebook Page. Please click HERE to go to our photo gallery or click on the link in the left sidebar. We will update the photo gallery whenever new pictures are available, so check back often! Photos are also available on our Facebook Page. Please "Like" us! Many of our photos are courtesy of Historical Hamilton and photographer Paul Dolanjski. 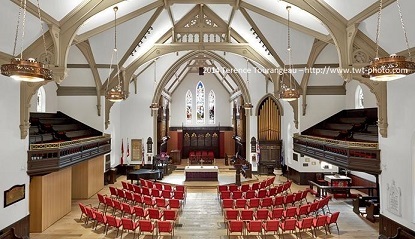 Please visit their website for more wonderful photos of our church and other historical buildings in the Hamilton area. View the latest Ascension news here!